This post first appeared in The Guardian’s Sustainable Business hub on 12 February 2015. Design innovation and social problem-solving are coming together in the fashion world, from fair trade pants to recycled bombshells. Fashion-conscious consumers today want to be able to make responsible choices, and now more than ever they can do so. With the whole world accessible in a single keystroke, we can vote with our fingertips. 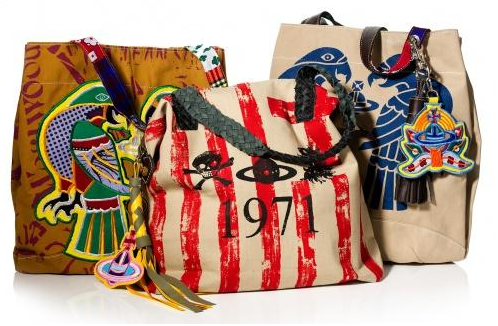 There’s an overwhelming desire for sustainable luxury that doesn’t compromise on style; for shopping that can go hand-in-hand with making a statement of solidarity. Now this marrying of social work and coveted fashion has turned into a style expression all of its own. Vivienne Westwood and brands such as Maiyet, Stella Jean, Edun and a growing number of online ethically conscious emporiums such as Modavanti, Reve en Vert, Plumo, and Fashion Compassion, enable the consumer to make conscious choices without compromising on style. These brands and platforms offer added value through carefully curated and meaningful production sources, enabling the consumer to give back with their fashion choices – and pointing the way toward a new aesthetic. Stella McCartney continues to come up with new material mixes and products while avoiding materials traditionally associated with luxury, like leather. 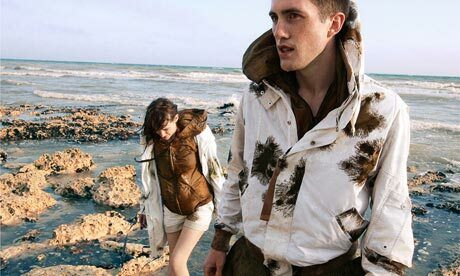 Brands that upcycle, such as From Somewhere (cover photo), Goodone and Christopher Raeburn, also have innovative signature looks because their starting point is to be resourceful with the waste created by the fashion industry. In doing so, they offer bespoke products, which is essentially what luxury is. When I talk about Emi & Eve’s Bullets to Beauty, I am often asked how I ended up recycling landmines and turning the metal into fashion accessories. By recycling bombshells found in the post-war landmine clean-up process in Cambodia, and combining it with weaving from a tsunami regeneration co-op in coastal Thailand, fashion can help artisans rebuild their lives. At the same time, it offers originality and innovation to customers. It demonstrates that a brand can enable the fashion-conscious consumer of today to help others live in freedom from fear. It’s this synergy that sparks the creative challenge in my inner artist. This post first appeared in The Guardian’s Sustainable Business hub on 12 February 2015. Find it here and share it!